GAINESVILLE – Last year’s lingering red tide caused widespread fish kills, economic impacts and environmental damage. This April, the newly established Thompson Earth Systems Institute at the University of Florida will host two public events to address the statewide effects of red tide. The first event, “Science on Tap: Sea Turtles and Red Tide,” will be held April 25 from 6 to 9 p.m. at First Magnitude Brewing Co., located at 1220 SE Veitch St. in Gainesville. Co-hosted by the Florida Museum, the event features a presentation by Justin Perrault, director of research at Loggerhead Marinelife Center. Perrault has 13 years of experience working with sea turtles and has published papers on topics dealing with red tide, toxicology and the health of marine organisms. Attendees can grab a brew, a bite from a local food truck and bring their questions for a lively discussion. The second event, titled “Beyond Dead Fish: How Red Tide Affects All Floridians,” will take place April 26 from 3 to 4 p.m. at University of Florida MacKay Auditorium in Pugh Hall located at 296 Buckman Dr. in Gainesville. Attendees are encouraged to arrive at 2:30 p.m. for refreshments. Co-sponsored by the UF Water Institute and the UF Bob Graham Center for Public Service, the panel will address the economic, public health and environmental impacts of red tide. Panel speakers include Lisa Krimsky, UF/IFAS Florida Sea Grant water resources regional specialized agent; Dail Laughinghouse, UF/IFAS assistant professor and algae scientist; and Andy Reich, scientific advisor to the chief of the Bureau of Environmental Health at the Florida Department of Health. Renowned environmental journalist Cynthia Barnett, who has covered water and climate stories worldwide, will moderate the panel. Off-campus attendees can find visitor parking in the Reitz Union parking garage, located at the corner of Museum Road and Reitz Union Drive. The garage is about a five-minute walk from the auditorium. Those who cannot attend may participate online via live broadcast at http://bit.ly/UFRedTide. Both events are free, family-friendly and open to the public. No registration is required. 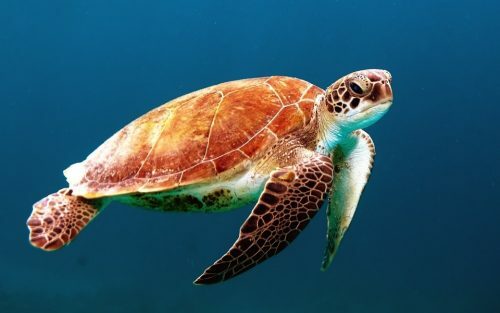 For more information on “Science on Tap: Sea Turtles and Red Tide,” visit https://www.floridamuseum.ufl.edu/event/sot-red-tide or call Chelsea Collison, 352-273-2062. For more information on “Beyond Dead Fish: How Red Tide Affects All Floridians Red Tide,” visit https://www.floridamuseum.ufl.edu/earth-systems/blog/upcoming-event-beyond-dead-fish-how-red-tide-affects-all-floridians or call Jennifer Bauer, 352-273-1936.